With all of the hail damage in our area, there are a couple of tips we thought we’d pass along. 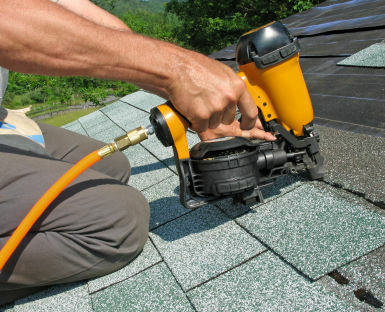 First, you need conservation district approval to repair your roof, windows or house if you are not making any changes in doing those repairs. And if you are making changes to the design, architecture, etc., you will need conservation district approval as well. A CD approval form is on this website, as is a copy of our CD ordinance. To obtain the approval, contact Margaret Fiskell at the City for more information: (214) 948-4355 or margaret.fiskell@dallascityhall.com. Second, you also need a permit to re-roof your home if the value of the work exceeds $500 (so you need a permit). Reputable contractors should handle this for you and post the permit on the front of the house in a plastic sleeve with the City of Dallas logo showing. For more information on permits and how to obtain one, go to http://www.dallascityhall.com/building_inspection/building_inspection_faqs.html#A1 If you work without a permit and get caught, the City can fine you and shut down your project mid-project until you secure the proper permits. Third, for the next several months, expect to see a number of contractors in our area. Statistically, crime goes up following natural disasters and the repair cycle following them. Even if your contractors are trustworthy, there are often people who are trolling to steal equipment and supplies and looking for easy access to homes. Be extra watchful of your property and your neighbors and report any suspicious activities. ~ lock up, If you have to leave something outside, lock it up there too. This entry was posted in Crime, News. Bookmark the permalink.